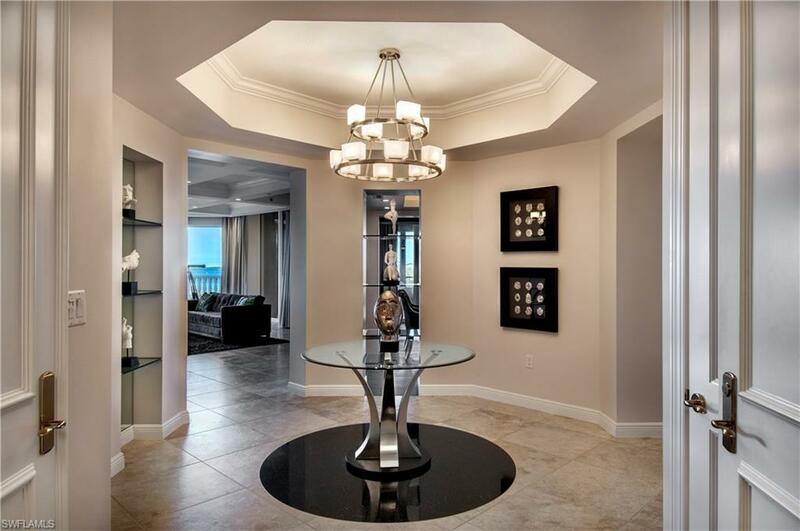 In the areas best luxury waterfront tower, prized Residence 304 (4260 a/c, 5140 total) is a former model, an end-unit with stunning 270-degree westerly Estero Bay water/sunset views. Immaculately remodeled in 2013 in a timeless transitional style with many upgrades and offered beautifully turnkey furnished. The home has an attractive open layout, spacious rooms, high feature ceilings, huge picture windows, floor-to-ceiling glass sliders, custom architectural accents, feature and accent lighting, window treatments, all-around hurricane shutters, feature walls, wet bar, walk-in pantry, sound system, TVs, objets dart, display shelves, custom built-ins, built-in master closet, granite and marble counter tops, Siematic cabinetry and G.E. Monogram appliances. Enjoy 880 square feet of glorious outdoor living; two spacious screened lanais (34x11 avg. and 24x9), a secluded front deck and a huge open deck area (perfect for a dog owner!) framed with a balustrade of keystone columns, perfect for guests and sunset cocktails. 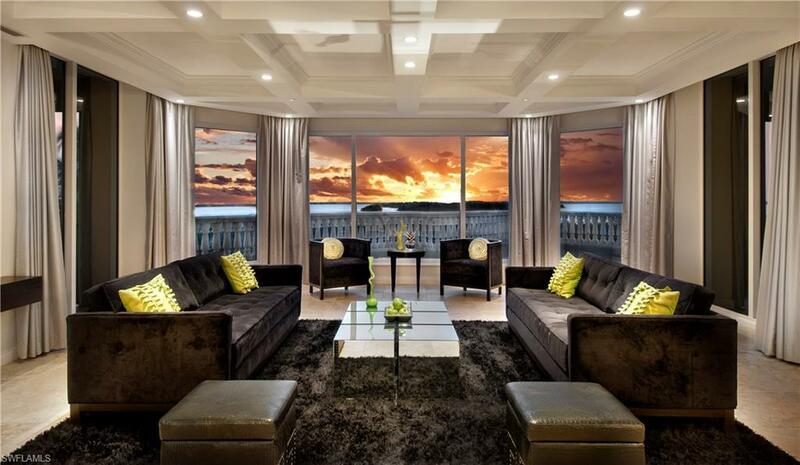 An enviable move-in ready residence with a well-designed flow, superb appointments and lovely waterfront sunset views for you to enjoy every day! SEE ATTACHMENTS.